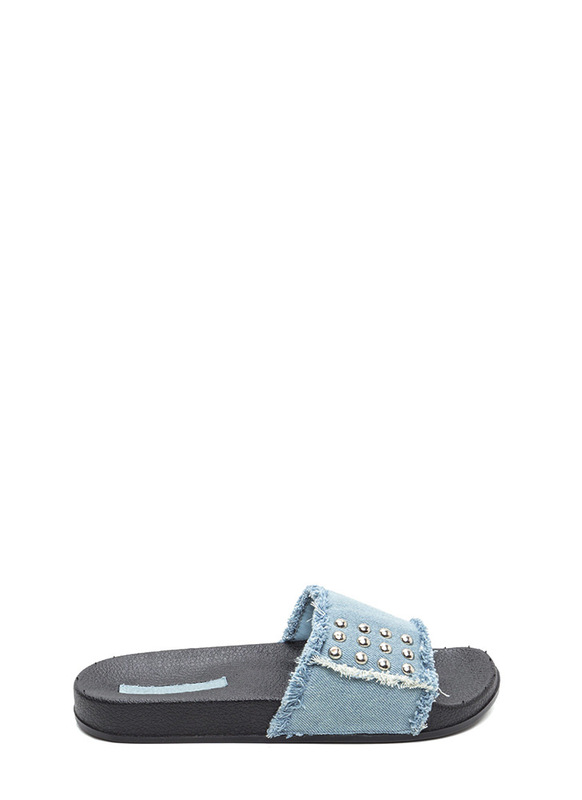 These slides are so on-trend, and they're even better with chic details! 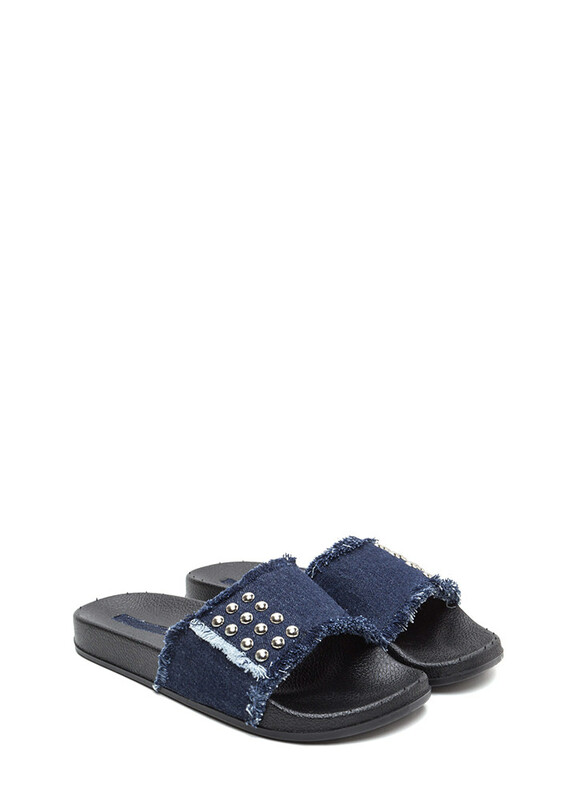 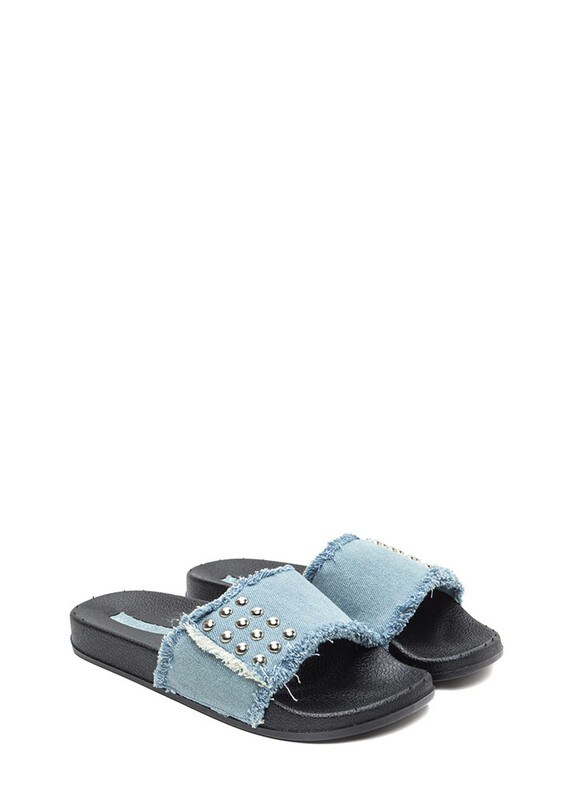 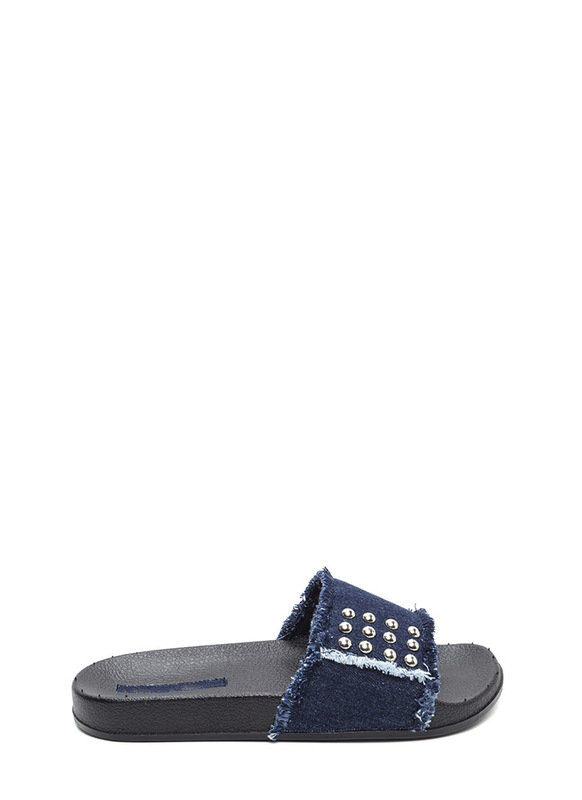 Open-toe slide sandals feature a wide denim panel embellished with dome-shaped metallic studs and frayed trim. 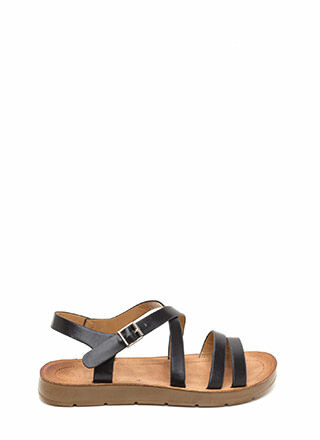 Pebbled and molded footbed leads to a textured sole.